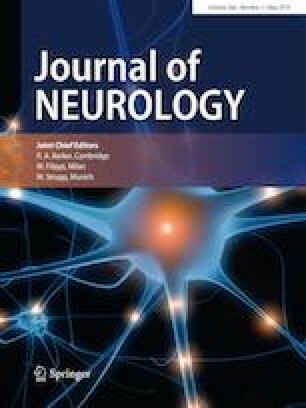 Alemtuzumab (ATZ) is an established highly effective treatment in relapsing-remitting multiple sclerosis (RRMS) [1, 2, 3]. Secondary autoimmune disorders in MS patients treated with alemtuzumab have been reported in a frequency of about 40% for thyroid disorders, 3% for thrombocytopenic purpura (ITP) and below 0.3% for glomerulonephritis . So far, one case of diabetes type 1 (T1D) as a possible secondary autoimmune disease following alemtuzumab treatment has been published . We report on two patients who had an acute increase in their blood glucose level several months after the second course of alemtuzumab. In both cases, a diagnosis of T1D was made. In addition, thyroid disorders occurred in both cases over the course of time. Stephan Richter has received honoraria for advisory board councils and travel expenses for attending meetings from Biogen, Celgene, Genzyme, Merck, Novartis and Roche. Bert Wagner has received honoraria for advisory board councils and travel expenses for attending meetings from Biogen, Genzyme, Merck, Novartis and Roche. Elisabeth G. Celius has received honoraria for advisory boards and/or speaker honoraria from Biogen, Merck, Roche, Novartis, Genzyme and Teva, and unrestricted research grants from Novartis and Genzyme.